At My Word we are passionate about bringing stories to life. Whether it be the story of how your business started, where it is going, or your ambitions for the future, your ‘story’ can set you apart. We are equally passionate about thinking creatively and visually about how we might share your story. 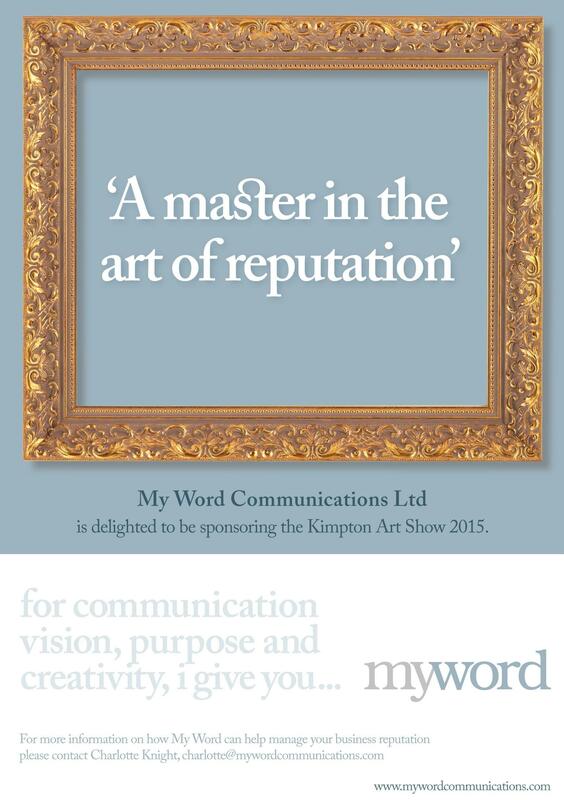 Which is why we are proud to associate ourselves with the Kimpton Art show. Every picture has a story to tell and every year we take huge pride in supporting local talent in showcasing their ‘stories’ through painting, sculpture and ceramics. 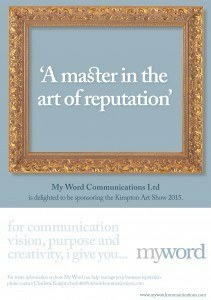 If you are in Hertfordshire this weekend do come along to the Kimpton Art show… just follow the signs in the village. Previous PostTrust, transparency and today’s ‘deal’ for employeesNext PostBreaking away to deliver breaking news – what is the future of the 24hr broadcast news channel?